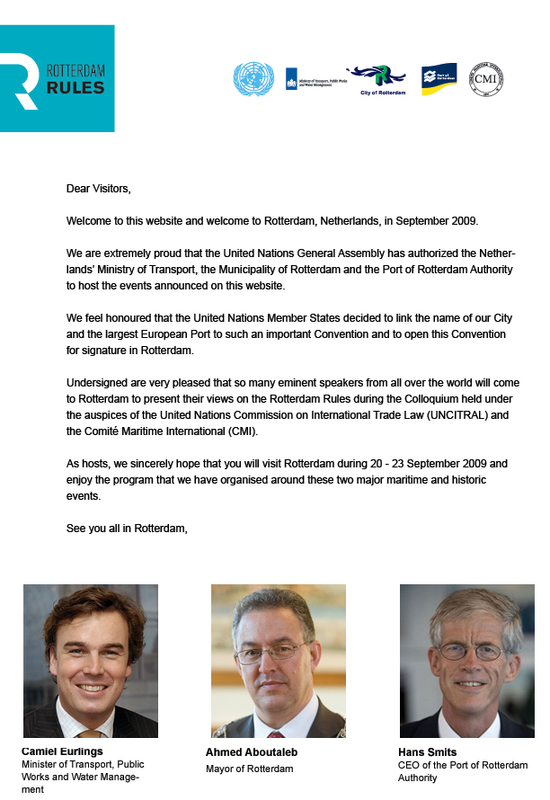 On 11 December 2008 the UN General Assembly adopted the 'United Nations Convention on Contracts for the International Carriage of Goods Wholly or Partly by Sea', and authorized a signing ceremony for the Convention to be held in Rotterdam, recommending the new Convention to be known as the "Rotterdam Rules". 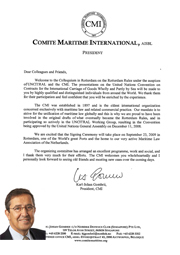 This new Convention extends and modernizes the existing international rules relating to the contract of maritime carriage of goods. 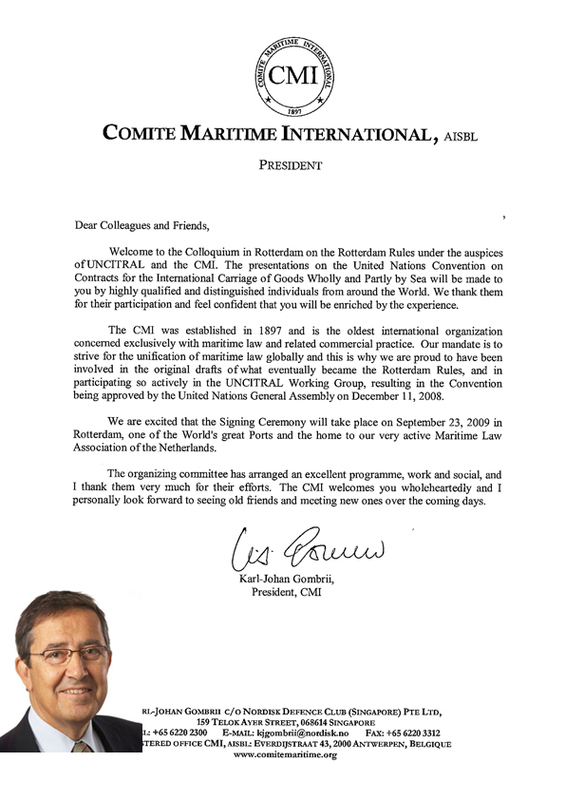 The aim is that the Convention will replace the Hague Rules, the Hague-Visby Rules and the Hamburg Rules and that it will achieve uniformity of law in the field of maritime carriage, as well as provide for modern industry needs in terms of door-to-door carriage. 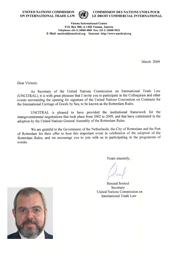 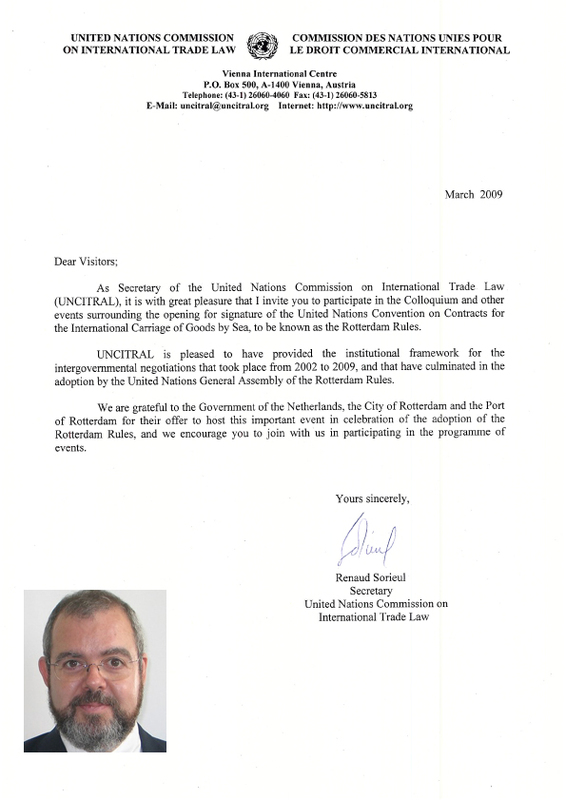 The Rotterdam Rules were prepared in intergovernmental negotiations from 2002 to 2009 by the United Nations Commission for International Trade Law (UNCITRAL), while the Comité Maritime International (CMI) had completed preparatory work on the Convention at the request of UNCITRAL, including the creation of a preliminary draft of the text.